The benefits of updating your property insurance are potentially: cost savings, improved insurance coverages, and improved service. NOTE: The tasks and timings shown here for your Insurance are based on a single-family home (owned), located in Massachusetts, United States, with priority set at ‘1 star' or higher, for all possible goals. If you set your personalization differently in your Home Wizard app, then you may get reminders for different tasks and timings in your recommended home care program for your Insurance. Inventory. Make a room-by-room inventory of everything in your house or office building. 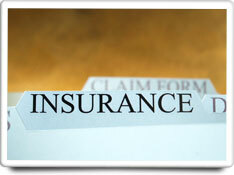 In the event of fire, flood, or other disaster, the inventory list will be important in filing an insurance claim. Photographs or a video tape of your possessions can also be helpful. Schedule expensive items. Many property insurance policies allow you to submit a list (i.e., a "schedule") of expensive property items, which may be treated differently than other property items in the event of a claim. This list should be updated to reflect your current possessions. Optimize coverages. Over time your property may change or the type of coverage offered by your insurance company may change. As such, it is important to review your coverages with your insurance company from time to time, to see if your coverage needs to be better matched to your current situation. Shop around for rates. Insurance costs can vary significantly. It may be helpful to shop around for better rates, coverages, and service. The benefits of this task are are potentially high, both from optimizing your insurance coverages, and having the proper documentation if you ever have a claim. The cost of this task is moderately low, from an investment of time standpoint. It is estimated that this task should take about 1-2 hours to complete the necessary research.